These step-by-step photos show how easy it is to carve a roast turkey. 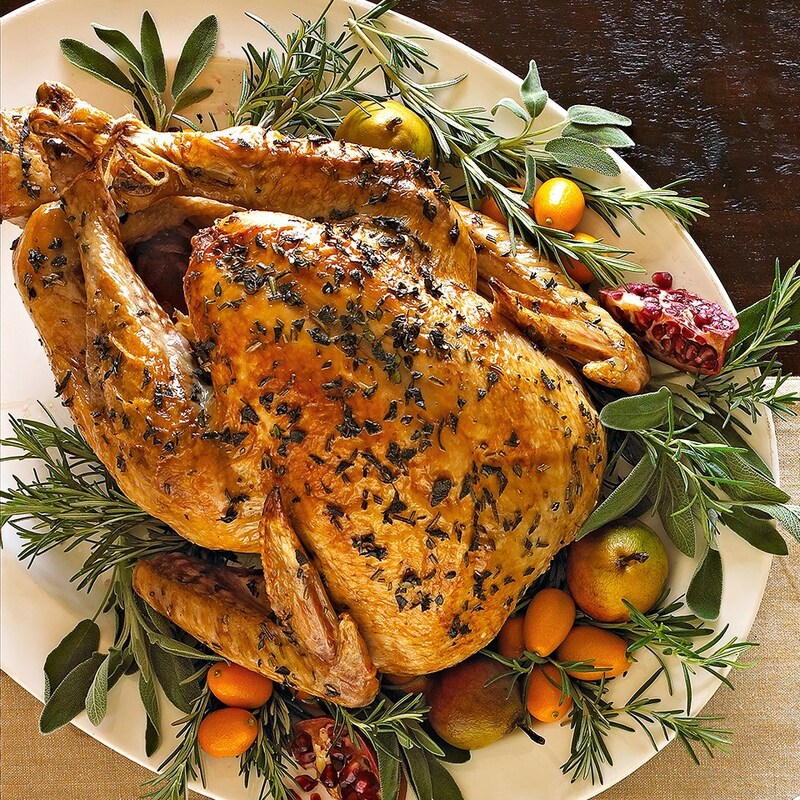 After you bring your perfectly roasted turkey out of the oven, remove it from the roasting pan and let it rest for about 20 minutes on a clean cutting board. Then, follow these easy step-by-step instructions to carve your turkey into drumsticks, thighs and wings for dark-meat fans and thin slices of juicy breast meat for the white-meat lovers. Be sure to start with a sharp carving knife and sturdy fork. Place the turkey on a cutting surface. Remove string. Holding the turkey steady with a carving fork, cut through the skin between the leg and body using a large carving knife. 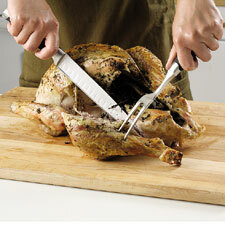 Pull leg outward with the fork and cut through the hip joint, removing the entire leg from the body. Cut through the joint between the drumstick and thigh. Remove skin from thigh and drumstick. Cut around both sides of thigh bone to separate meat from bone. Slice thigh meat thinly. Hold the drumstick at one end and slice the meat off, parallel to the bone. Cut through the skin horizontally near the base of the turkey. Remove the skin from the breast using a fork. 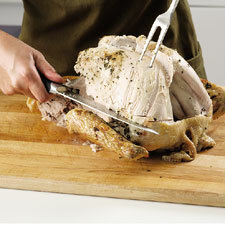 Hold the turkey near the breastbone with the carving fork. Slice down one side of the breastbone until your knife meets resistance near the base of the turkey. 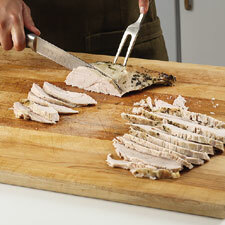 Cut horizontally into the turkey near the base and remove the entire lobe of breast meat. Repeat on the other side of the breastbone. Place the breast meat on a cutting surface. Holding it with the carving fork, slice thinly across the grain.